In relaxed living room settings, using a phone to control the room can be inappropriate or cumbersome. 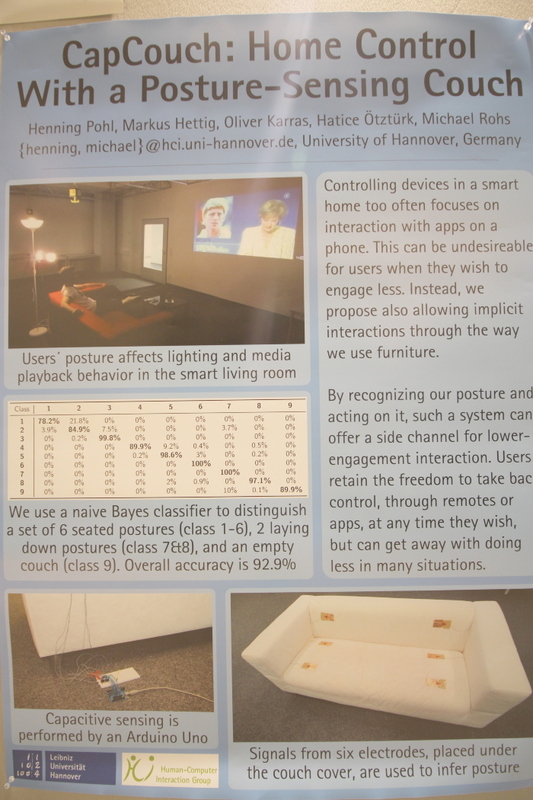 Instead of such explicit interactions, we enable implicit control via a posture-sensing couch. Users can then, e.g., automatically turn on the reading lights when sitting down.